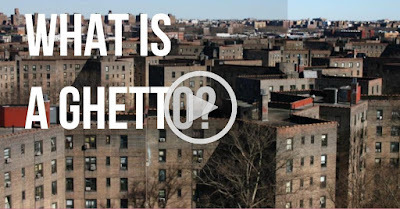 Did you think the word "ghetto" was a modern term or that black people came up with it? Think again. The word is actually over 500 years old and it's Italian. See, in 16th century Italy, the Venetian Republic created "ghettoes" to confine thousands of Jews to a small gated prison community. Under the Venetian Republic, Jews were segregated from the rest of Venice. The Venetian Ghetto is not too far in appearance from today's projects and public housing units; minus the gates which kept them from leaving. Sad thing is, think of how many people you know who proudly say they are from the ghetto today or who refer to themselves as being ghetto or hood. The word "hood" is actually worse because it's a degradation of the word "neighborhood" by getting rid of its root word "neighbor"; something that’s a key element in forming a community. You cannot form a community without neighbors! The suffix word you are left with is –hood which means nothing. I know many might say I'm reaching or that these are just words, but you take a look at any hood and tell me if it’s a place full of neighborly individuals. If the people who live next door or across the street from you can witness someone breaking into your house and won't call the police; that is not a neighbor. If you can't walk down the street at night without worrying about getting robbed, mugged, or raped by people you share a community with, then you don't have neighbors. Everyone in the black community is silent about the problems there until something affects them personally. How many of the people there, know who the shooters are, but won't have anything to say until it's one of their children who gets shot. These misguided young men are out here killing each other as well as the innocent because you know as well as I do that the bullets usually hit the wrong person. The "hood" is not a neighborly place to live. It's a "ghetto" and a ghetto is a confinement by definition. The modern-day ghetto's don't have gates to lock you in, because they don't need to physically confine people who mentally confine themselves. The gates have been replaced with businesses that none of the people of the community own. The majority of the money spent in the black community leaves the black community to go to another ethnic groups community. 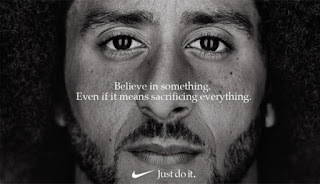 So, in short, a ghetto is a confinement for blacks but, it’s a commodity to America's economy at the same time because ghettoes are like oil reserves. They provide a steady flow of income to the infrastructure of everyone else's community, but the blacks. So the message here is this, black people living in the "so-called ghetto" today, can look at what the Jews achieved. Though they were confined behind gates in the ghetto of Venice, Italy. Though they were segregated from the rest of Venice. Instead of worrying about integrating with Venetian society and fitting in; they used that confinement as an opportunity to strengthen the bonds of their own community and form their own social economical class just doing business with each other. Even after the fall of the Venetian Republic, after Jews were no longer segregated from the rest of society, they still kept and continue to keep their community close-knit and progressing economically; even if that means taking from your community to give to their own. In fact, all the other races are doing it as well. So moral of the story is, put the word "neighbor" back in front of the word "hood". And make it a neighborhood. Every ghetto has the potential to be a black metropolis.